The Walt Disney Company has just unveiled that its ESPN-branded video streaming service would debut in early 2018, followed one year later by a new direct-to-consumer Disney-branded service. 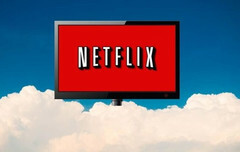 Netflix users should enjoy Disney-branded content while they still can because the popular brand is moving away and has plans to open its own streaming service in less than two years. The Walt Disney Company has just revealed the acquisition of a majority stake in BAMTech, LLC. The value of the deal is US$1.58 billion, a sum that accounts for 42 percent of BAMTech. However, Disney previously acquired a 33 percent stake, so now they are in complete control of this leading brand in direct-to-consumer streaming technology and marketing services. Disney also announced that "[we] will launch its ESPN-branded multi-sport video streaming service in early 2018, followed by a new Disney-branded direct-to-consumer streaming service in 2019." There is no information about the subscription fees to expect from Disney's upcoming streaming service, but there is still plenty of time until it goes live. Until then, Disney fans can continue to enjoy the company's old and new releases via Netflix.